The first glass designed specifically for the Whisky drinker. Its heritage lies in the tasting glasses used by master blenders and connoisseurs. The shape is designed to enhance the enjoyment of single malt whiskies, capturing the bouquet while leaving a wider area for the hands to support and warm the contents. The glass design won the Queen's award for innovation in 2006. 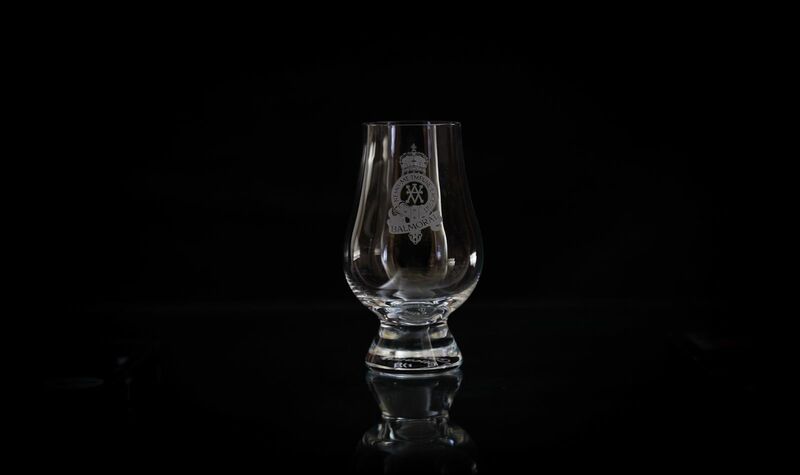 Made from Lead free crystal and engraved with the Balmoral logo.